Alva Cross Crawford took a pretty random approach to choosing her wedding venue. "Believe it or not, we googled 'cool city hall weddings' and 'pretty city halls,'" she told me, eventually settling on San Francisco's city hall as the place to tie the knot. 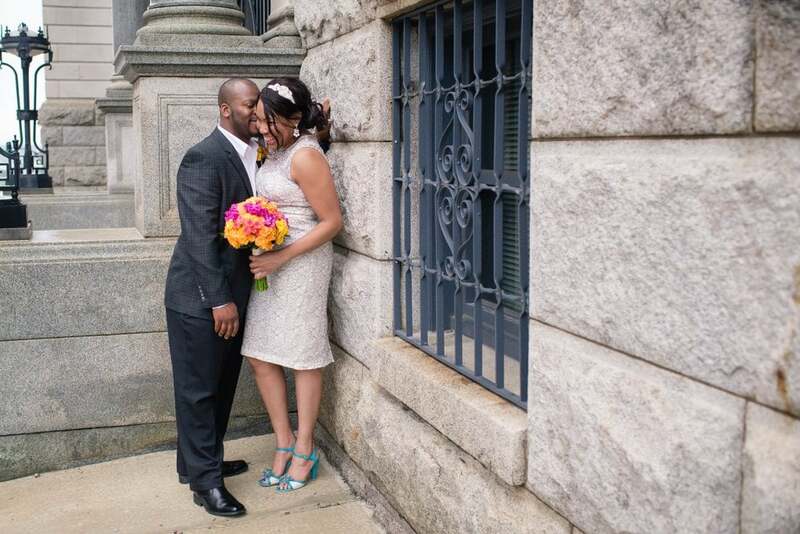 "We fell in love with the stunning architecture and the elegant simplicity of this city hall." Alva and her husband, Bo, don't live anywhere near San Francisco. They're based in Tampa, FL. But the thousands of miles didn't matter much, since it was only Alva, Bo, and their wedding photographer, Heather Rice, in attendance. 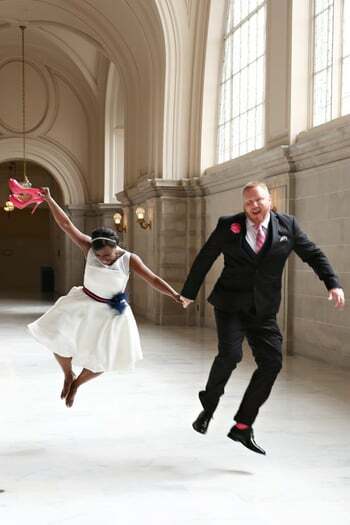 For the 2015 wedding, Alva wore a flirty short dress with hot-pink heels, and they used San Francisco's city hall, as well as the city's other landmarks, as a backdrop for an intimate wedding weekend. The photos from Alva and Bo's wedding went viral on social media. More than 125,000 people shared the story we ran about their wedding on POPSUGAR. Commenters said they were going to steal the idea for their own weddings and applauded the couple for making a financially savvy yet romantic choice for their big day. Alva and Bo used San Francisco's city hall as both their wedding venue and a backdrop for celebratory photos. Couples like Alva and Bo are part of a growing move toward simplified weddings. They may take place at a city hall or the couple's favorite restaurant, with fewer guests and less lead time. It's a change from the homogenized, over-the-top wedding culture we've seen since the rise of Pinterest, which inspired weddings with do-it-yourself details that take months to complete. You've probably come across quite a few signature cocktails in mason jars, creative chalkboard signs, and elaborate photo booths. 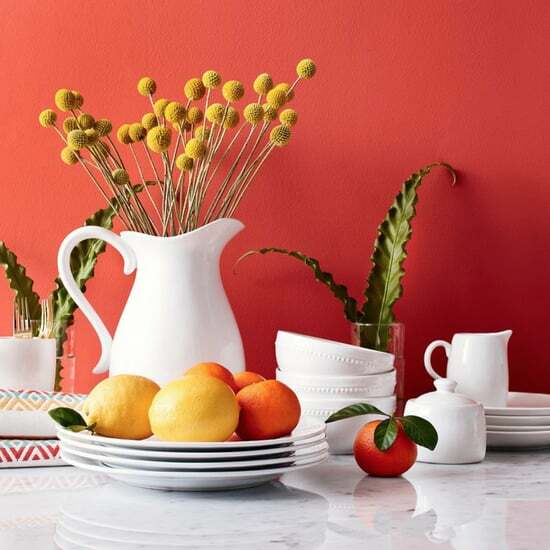 Rather than making a unique statement, these often overdone details send the message that you're just like everyone else. And they require a ton of effort. Many couples are saying "enough." It's a change from the homogenized, over-the-top wedding culture we've seen since the rise of Pinterest. The wedding industry is responding. Suzanne Halperin, VP of catering and banquet brand operations for Kimpton Hotels & Restaurants, helps put together packages that appeal to modern brides who want a more streamlined planning experience. "The rule of thumb used to be that couples waited at least a year to get married, but clearly that isn't the majority anymore," Halperin says. Now couples are booking weddings as close as three months ahead of time and looking for a smaller and more casual experience. "Six to eight months seems to be the sweet spot for most couples," Halperin has observed. She thinks that's a reasonable amount of time to plan a simple wedding as long as the dates the couple wants are available. (If you want a Saturday evening in June or September, you might need more time.) If you have a shorter window of planning time, you may need to be more flexible on season and the night of the week. 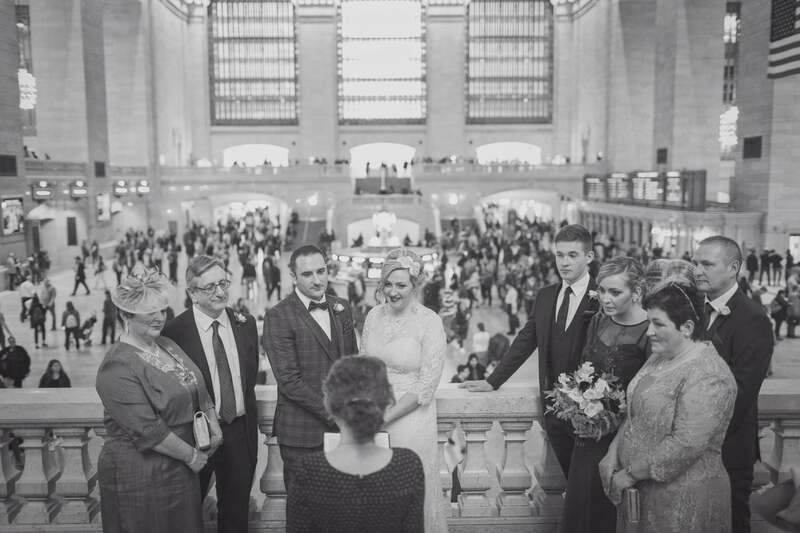 A couple came all the way from Scotland to elope at NYC's Grand Central Station. Fewer than 10 guests attended. Julianna Ehlert's husband, Noah, was the photographer. Over-the-top weddings with round tables, white linens, and extravagant floral displays are becoming less common at Kimpton's boutique hotels, according to Halperin. More couples ask for understated looks with a few personalized elements woven throughout that speak to their relationship. "They're storytelling with their guests. 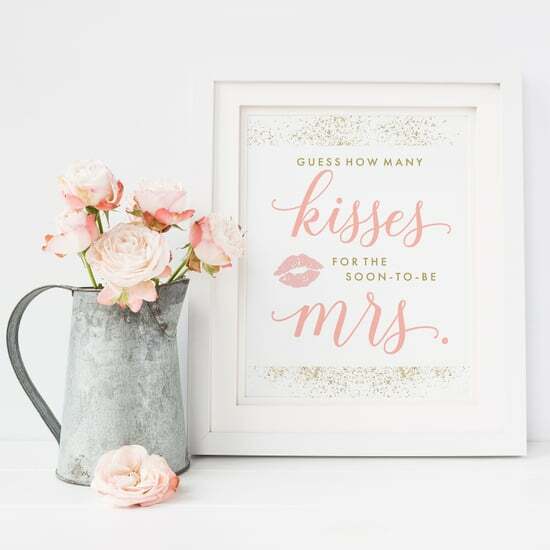 It's a more memorable approach that's still very elegant, with couples electing to invest in the finer details that make their wedding that much more personal." Instead of having every possible wedding feature, couples are sticking to those that matter to them. Hotels like Kimpton's also offer all-inclusive wedding packages for brides who would rather trade ease for custom details. 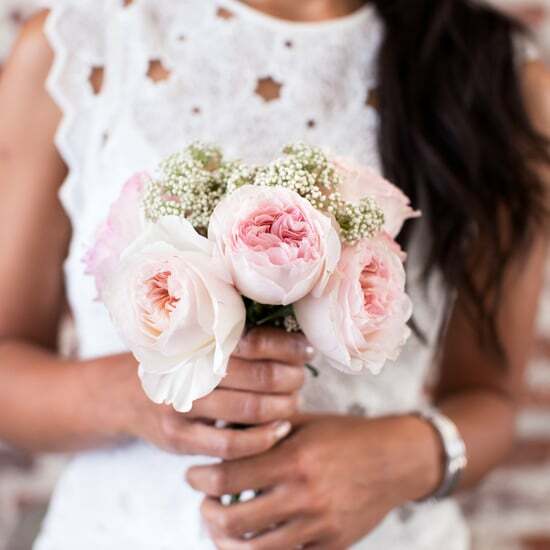 The Seattle Weddings Bundled Bliss at the Alexis Hotel is tailored for a wedding with 15 to 30 guests and includes everything from the officiant to flowers from Pike Place Market. The price is $200 per guest (plus about 35 percent in taxes and fees). If you had 30 guests, that would be about $8,000 for a four-hour wedding that also includes hors d'oeuvres, a three-course dinner, a hosted bar, and a night for the couple in a premium suite. The price is well below the average cost of a wedding, currently $29,858. 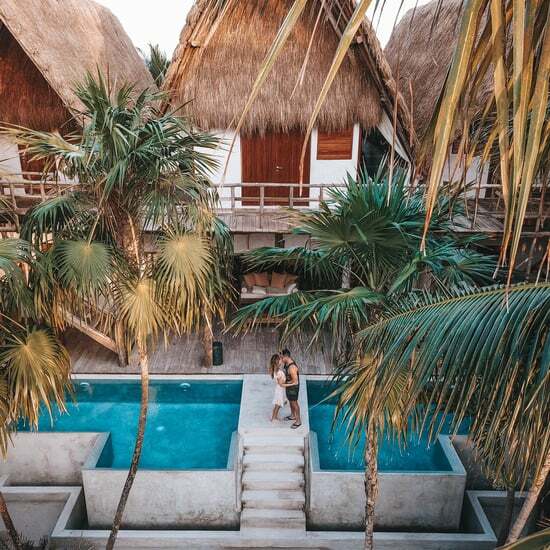 Choosing an all-inclusive package comes with the added benefit of not having to wrangle different vendors or worry about every detail. Instead of having every possible wedding feature, couples are sticking to those that matter to them. 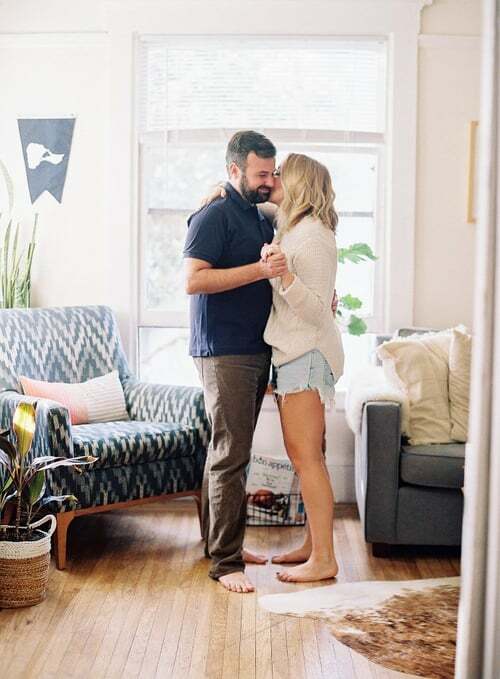 As someone who attends weddings for her job, photographer Julianna Ehlert also spots the trend of couples moving back to basics. "I am seeing a step up from the city hall, but a step down from the big blow-out," she explains. Many couples Ehlert works with on the East Coast will get married at a church with 30 or fewer family members and friends. They'll then head to a restaurant, with the focus on intimacy and involvement of guests. Often, these weddings are held during the week. In general, Ehlert says, brides who have smaller, simpler weddings "are more excited about things being nontraditional and out of the ordinary." This nontraditional bent could manifest in modern, nonmatching bridal party dresses, as well as unique registries based more in experiences than objects, according to Alicia Falango, the founder of Alicia K Designs, a wedding planning business in California. Falango says this year you're more likely to receive invites to smaller events with fresh formats. "Rather than the full-blown reception, people are having daytime lunches or cocktail parties without full meals." She also finds that couples are doing fewer over-the-top DIY features, finally realizing that it often takes more time, energy, and money. Grace and Jon decided to hold their 2016 engagement shoot in their San Francisco home. At weddings taking place in Kimpton hotels, Halperin has seen rectangle wood tables instead of rounds. Robust centerpieces are often replaced by a variety of flowers in different vessels and candles of varying heights — more like a table you would set at home. 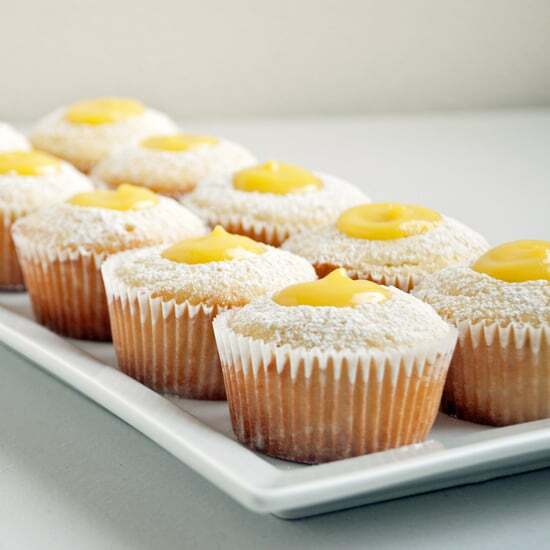 Nontraditional clients also want more experimentation with their food choices. "Couples look for local inspiration, beautifully printed menus at each place setting, and less formal menu items," she says. Think mini tacos with shots of margaritas or burgers and beers. "It's casual and approachable, plus they're crowd-pleasers." Come dessert, you'll see fewer traditional cakes. The more approachable trend will also pop up before the wedding: save-the-dates are going digital, and engagement shoots are getting a low-key makeover, looking less like a posed romance novel shoot at a glamorous location. More couples will opt for relaxed photos taken at home, giving friends and family a look into the couple's real life and authentic style. Pinterest is the keeper of all wedding trends, and its data tells the story of changing tastes, backing up what the professionals are observing. "We recently saw a large spike in searches for 'basic weddings,' nearly doubling from the beginning of January to the beginning of February," says Pinterest's Lara Levin, who works in consumer communications for the company. Queries for "elopement ideas" are up more than 45 percent year over year. Searches for "city hall weddings" are up nearly 20 percent year over year. And "courthouse wedding dress" searches are up more than 30 percent year over year. Popular elopement inspiration on Pinterest includes a desert road trip wedding, a romantic mossy glen wedding for just the bride and the groom, an intimate barefoot elopement in the Columbia River Gorge, and windswept seaside elopement. When you throw off the constraints of a large traditional wedding, more daring and original venue options open up. 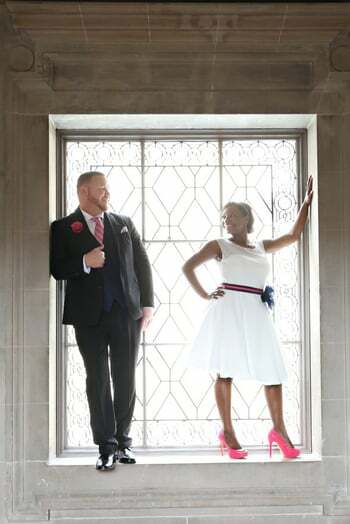 Racquel Kristi has been in the wedding planning business for more than 10 years and has experience planning "pop-up weddings" for couples who aren't afraid to mix things up. The term "pop-up wedding" can be used for many things — including elopements or Vegas-style chapel weddings — but for her, a luxury pop-up is a smaller-sized wedding that involves some secrecy, including surprises for the bride and groom. The couples Kristi works with choose a level of secrecy. For example, the guests may not know they are attending a wedding, or the couple themselves might not know the venue. Kristi often just gives couples a place to "show up." It could be as broad as a city or even a country. Then, she takes care of the rest. "We gather details about your personality and create the wedding around that," she explains. 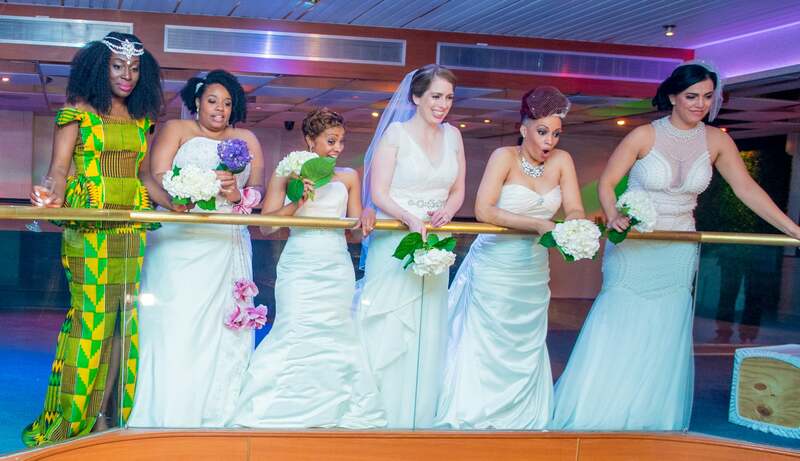 Six brides tied the knot at PopBliss's first group pop-up wedding in New York. Pop-up weddings can range from $2,000 to $40,000, according to Kristi. The lower end will get you a two-hour event at a chapel and includes an officiant, photographer, and snacks. The higher end could get you a vacation-style destination wedding for 30 to 40 guests. Some couples choose pop-up weddings because they are more affordable, but all of them are looking to avoid overwhelming wedding planning. "We find that most couples who contact us are looking for the easy way of doing this without having to sacrifice the weddings of their dreams," Kristi explains. In her job, she has encountered a lot of people who tried unsuccessfully to plug themselves into a traditional wedding format. "They couldn't understand why they were doing certain traditions," she says. "A lot of times the families took over the planning process, and the couples couldn't wait until the day had passed." The pop-up wedding solves that. Pop-up weddings can range from $2,000 to $40,000. Last year, Kristi launched PopBliss, a group "pop-up" wedding for up to 10 couples. 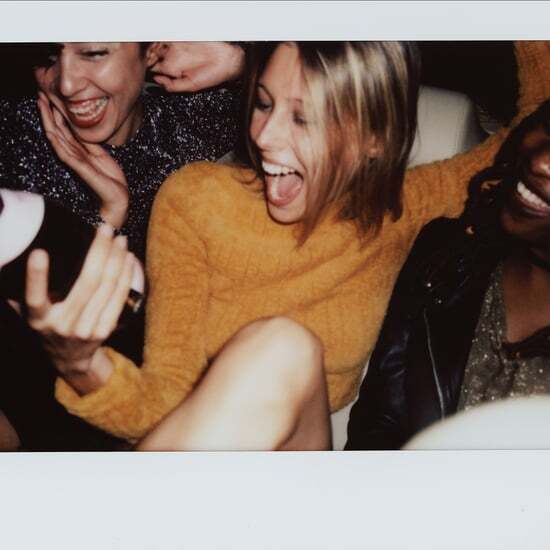 Couples who marry at a PopBliss group wedding will only know the host hotel ahead of time, but they can still invite about a dozen guests each who will all party together later. "In creating PopBliss, we wanted to put the fun back into the celebration and make it all about the couple and putting them on an adventure ride," Kristi says. "Doing it as a group helps create a community of people going on the same ride as you. A group of individuals who have the same likes and interests. The couples become great friends." 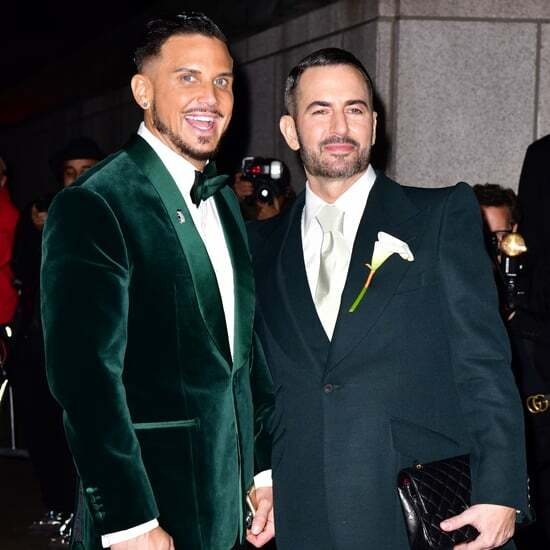 The first PopBliss wedding went down in New York City in March 2016. Why would you choose to get married with a bunch of strangers? Well for one, the value. For $5,000, PopBliss promised an "ultra-glamorous weekend" without months of planning. Included in the price was the wedding itself, as well as the hotel, a welcome party, brunch, a glam suite, a photographer, and 14 invites for guests per couple. About 130 couples applied, and six were chosen for the group wedding that took place on a Hornblower Infinity yacht. This year's PopBliss group wedding will happen in Las Vegas. Another factor making smaller weddings more attractive: social media and the ease with which we can share special life moments with friends and family even when they're not present. Kristi notes that today's brides focus a lot on the wedding hashtag or custom Snapchat filters and closely manage the visuals of their big day. Those who choose smaller-scale weddings can just spend time on those specific details that show up on social media, like the wedding dress or how the food looks. "It's not necessarily the long white dress. Sometimes it's a different color or a short full skirt. But they're definitely wanting to make sure fashion is a huge part of their day and that their fashion statement is recognized as being part of their personality." Amber and Larry married at their local federal courthouse in Kansas City, MO. Choosing a pared-down wedding gives newlyweds more time to get quality photos of the elements that are important to them. 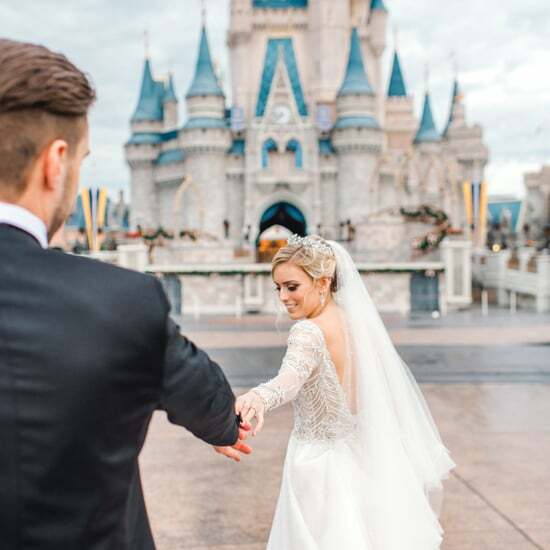 Photographer Ehler says these couples "are more present in those moments, not worried about rushing off to greet 100-plus guests or gear up for their entrances." A simple wedding also gives you more time to focus on your new spouse. Amber Hackett and her husband, Larry, opted for a courthouse wedding in 2015. 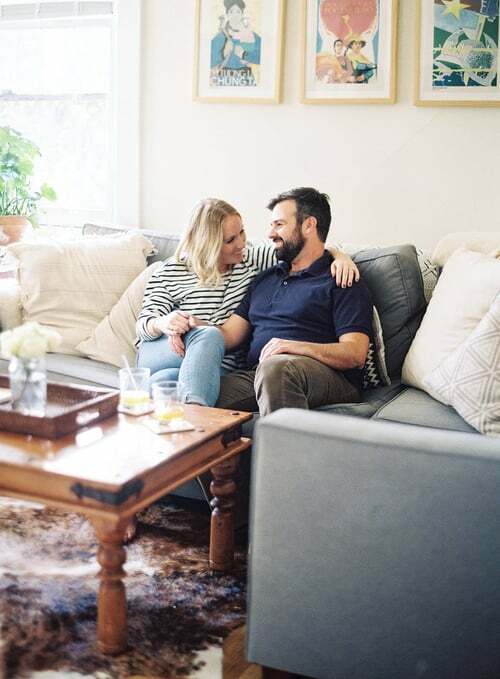 "My favorite part was being able to focus solely on my husband," she tells us. "I wanted to start our life together on our own terms, so we eschewed the traditional wedding festivities." Instead, they spent the extra money on a great honeymoon. Choose something that reminds you that this is a "real" wedding. That could be the flowers, photography, or a spiritual verse. Hackett has this advice for brides considering a city hall wedding: "Don't skip all of the traditional details." She recommends you focus on at least one element that reminds you that this is a "real" wedding. That could be the flowers, photography, or a spiritual verse. Kristi has noticed a similar trend in her pop-up wedding business: couples who have smaller weddings still focus on a few traditions, whether it's the dress, the photos, the food, or including friends. "Couples still want to embrace the celebratory aspect of a wedding," she explains. They're just a lot more flexible with how that happens.